Rita Carter is a writer who specialises in neuropsychology. Her books about the workings of the brain are sold throughout the world and are required reading for dozens of University courses. She is particularly interested in the way new technologies synergise with human cognition. Virtual reality mimics the effect on our senses of “real” life, so a VR environment is practically indistinguishable from the real thing. When you look at something in VR, you see it in 3-dimensions, just as you would if it was actually there. This is a more robust, immersive experience than anything you get from looking at something on a flat screen, and your brain responds as though it is really happening. The only difference is that intellectually you know that the world you see is illusory, and this knowledge allows you act in it without fear of jeopardy. A person with a phobia, for example, can face up to the things that terrify them in certain knowledge that they won’t be hurt. Getting close to virtual snakes or spiders, say, or looking down from a virtual height teaches the person’s brain that the dreaded event can be experienced without disaster. This prepares the person for braving them in a non-virtual environment. Two-dimensional computer simulations cannot do this to the same extent because the shift from them to the “sensurround” impact of real life is too great.. In addition to her books Carter has researched and written extensively about the measurement and manipulation of neural activity. Two years ago she led a pioneering study of group experience, monitoring the brain activity of 50 members of an audience at London’s Barbican theatre during a performance. In addition to distraction, VR is a powerful placebo. The placebo effect is one of the most complicated physiological processes ever investigated. At its core it involves changes in the electrical activity in the frontal lobes of the brain, which deal with “higher” cognitive functions such as belief, judgement, memories and expectation. These changes in turn trigger secretion or inhibition of multiple hormones and neurotransmitters, some of which are similar or identical to painkilling drugs. Different VR content can manipulate these biological effects. An exciting VR event, for example, raises adrenaline which reduces pain by directing neural activity from the the brain to the peripheral parts of the body rather than vice versa. The switch causes a reduction in pain signals (which run from peripheral areas to the brain). With technology and neuroscience advancing at a rapid pace, the future of VR is very exciting. There is a natural fit between these two galloping sciences. One future possibility is to couple the experience of VR with simultaneous brain imaging. Recent advances in computer science have made it possible to create whole-brain imagery using EEG, a relatively simple technique that involves reading brainwaves (a measure of neural activity) through skull-mounted electrodes. This type of brainscan effectively shows what the brain is doing and could be used to assess content for various clinical applications (e.g. anxiety reduction, pain relief, attention dysfunction). A further step might be to enhance the effect of VR by stimulating the brain directly rather than through the senses. Transcranial Electrical Stimulation (TES) involves sending a minute electrical current through the skull to stimulate or inhibit particular parts of the brain’s cortex. The technique is non-invasive, safe and painless - nearly two thousand research papers have shown it to be effective in reducing anxiety, pain and depression. Rescape is looking towards the time when these three technologies - EEG monitoring, TES stimulation and VR - could work in concert to help our brains to create a world of experience free from unnecessary pain and anxiety. 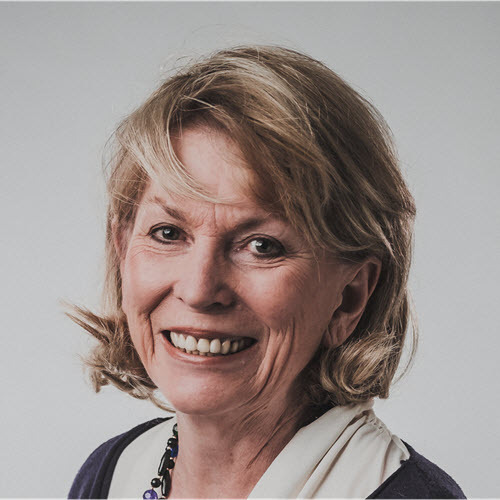 A science and medical writer, Rita Carter has twice been awarded the Medical Journalists' Association prize for outstanding contribution to medical journalism. She has written several books and been shortlisted for the Royal Society Prize for Science Books. Rita also talks about the brain, consciousness, and behaviour to a wide range of groups at seminars, conferences, and workshops.